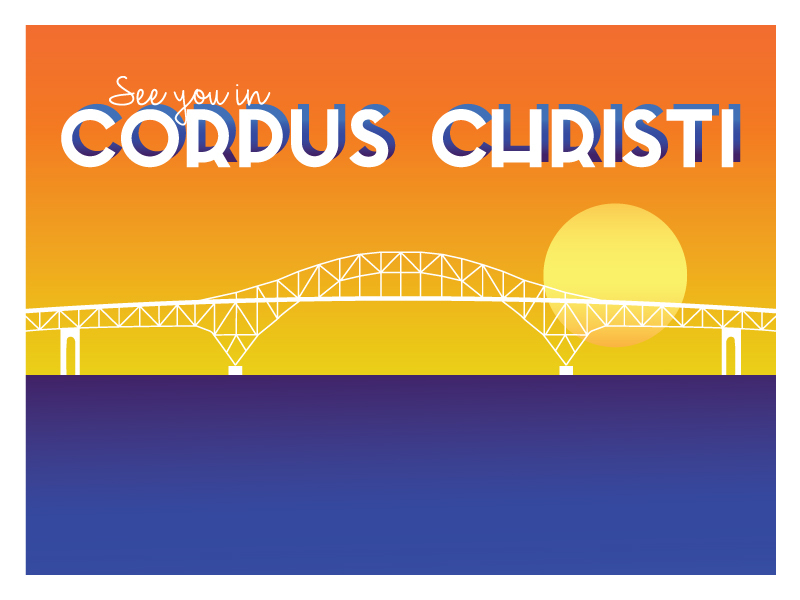 Corpus Christi Illustration created for the Texas Festivals & Events Association 2016 Summer Conference. We are packing our bags and heading to the Texas Festivals & Events Association Annual Summer Conference in Corpus Christi. This is our very first TFEA Conference, so we are looking forward to making new friends and learning new things. If you are going to be there, make sure to stop by our booth at the trade show on Friday and Saturday.